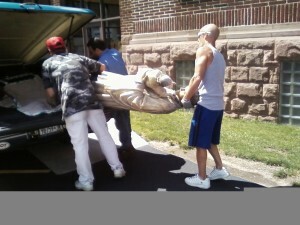 This past August the Buffalo Religious Art Center acquired a new statue. It’s the statue of St. Stanislaus Kostka (also spelled Koskkawhich). For many years, he had resided in the basement of Assumption Church on Amherst Street. 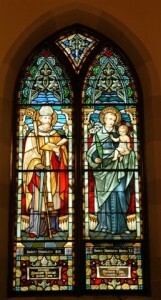 St Stanislaus died at the very early age of 19, just after becoming a novice. For this reason he isdepicted as a young man wearing a vestment (a long headdress worn by bishops and senior abbots as a symbol of office). It was also said, that he was loved by children. So, also many times, he is shown holding a child.